Vowing to cut U.S. trade deficits and protect the nation's high-tech "crown jewels," President Donald Trump said Friday he's levying a 25 per cent tariff on up to $50 billion US worth of Chinese imports, instantly escalating a trade dispute between the world's two largest economies. 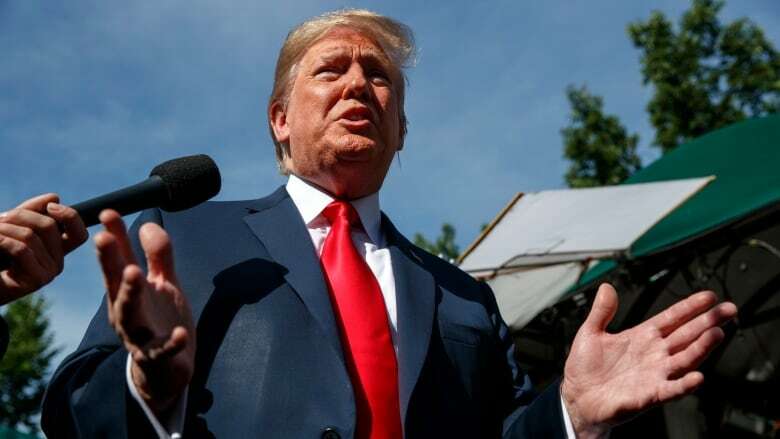 Trump said he was fulfilling a campaign pledge to crack down on what he contends are China's unfair trade practices and efforts to undermine U.S. technology and intellectual property. During an impromptu appearance on the White House North Lawn, the president hailed his "very big tariffs" on China. "You know we have the great brain power in Silicon Valley, and China and others steal those secrets. And we're going to protect those secrets. Those are crown jewels for this country," Trump said on the television program Fox & Friends. Asked about inciting a trade war, he said, "There is no trade war. They've taken so much" already. The administration also is targeting an additional 284 Chinese products, which it says benefit from China's aggressive industrial policies, worth $16 billion US a year, but won't impose those tariffs until it collects public comment. U.S. companies that rely on the targeted imports — and can't find substitutes — can apply for exemptions from the tariffs. "It's thorough. It's moderate. It's appropriate," U.S. Trade Representative Robert Lighthizer said Friday on Fox Business Network's Mornings With Maria. Lighthizer added: "Our hope is that it doesn't lead to a rash reaction from China." "The Chinese side doesn't want to fight a trade war, but facing the shortsightedness of the U.S. side, China has to fight back strongly," the Chinese Commerce Ministry said in a statement. "We will immediately introduce the same scale and equal taxation measures, and all economic and trade achievements reached by the two sides will be invalidated." Trump has already put tariffs on steel and aluminum imports from Canada, Mexico and European allies, and his proposed tariffs against China risk a major trade war involving the world's two biggest economies. Trump's decision comes in the aftermath of his summit with North Korean leader Kim Jong Un. The president has co-ordinated closely with China on efforts to get Pyongyang to eliminate its nuclear arsenal. But he signalled that whatever the implications for that or other issues, "I have to do what I have to do" to address the trade imbalance. 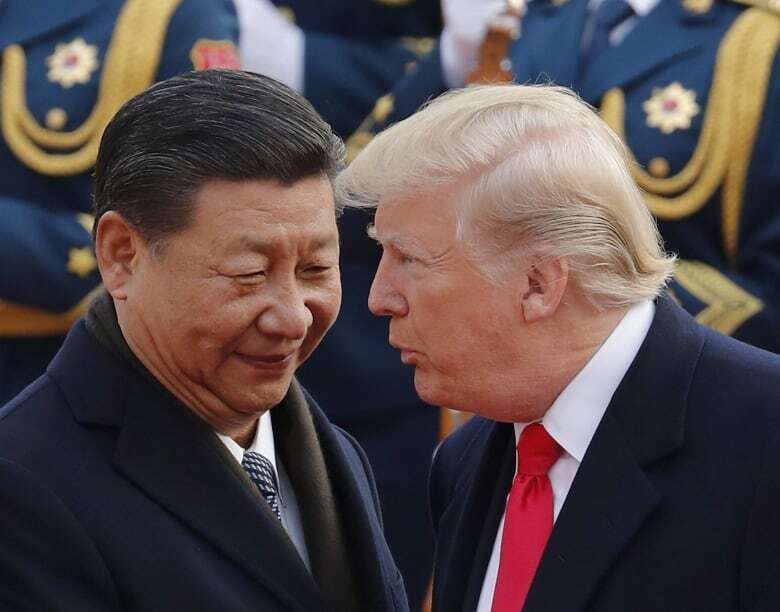 The U.S. tariffs are a response to China's aggressive attempts to challenge U.S. technological dominance, including outright theft of trade secrets and forcing U.S. companies to share technology in exchange for access to the Chinese market. Those tactics are "a dagger aimed at the future of the U.S. manufacturing sector," the senior administration official said. "Imposing tariffs places the cost of China's unfair trade practices squarely on the shoulders of American consumers, manufacturers, farmers, and ranchers," said Thomas Donohue, president of the U.S. Chamber of Commerce. "This is not the right approach." Reactions to the tariffs cut across party lines. Democrat Senate Minority Leader Chuck Schumer said Trump is "right on target." "The president's actions on China are on the money. China is our real trade enemy, and their theft of intellectual property and their refusal to let our companies compete fairly threatens millions of future American jobs," Schumer said. Meanwhile, Republican Representative Dave Reichert said he disagreed with the action because "Americans will bear the brunt instead of China."